Our hospital first opened its doors in 1919 to provide care to the people of the Rio Grande Valley. 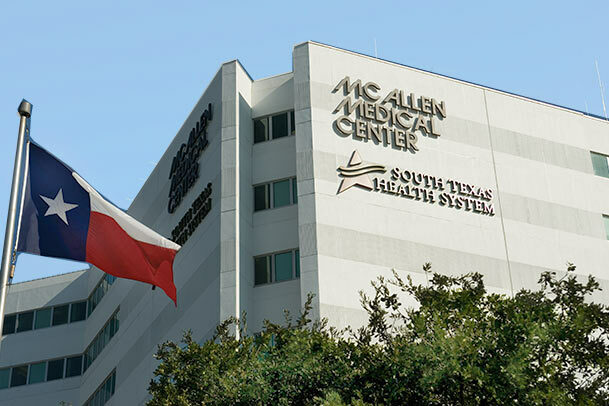 McAllen Medical Center's full service acute care facility opened in December 1985 after spending more than 50 years in downtown McAllen, Texas as McAllen Municipal Hospital, McAllen General Hospital and McAllen Methodist Hospital. McAllen Medical Center was the first in McAllen and neighboring cities to offer services such as open-heart surgery, one-day cardiac catheterization and magnetic resonance imaging. Today, it’s become a large tertiary hospital for specialized treatment with a Level II Trauma Center – making McAllen Medical Center an invaluable healthcare asset in South Texas. South Texas Health System is an integrated system of care comprised of six hospitals, several freestanding emergency rooms, multiple physician practices and a broad variety of outpatient services.